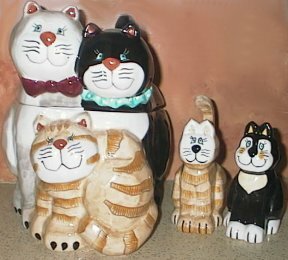 I have always loved cats, as a matter of fact my very first words were “kitty kitty”. 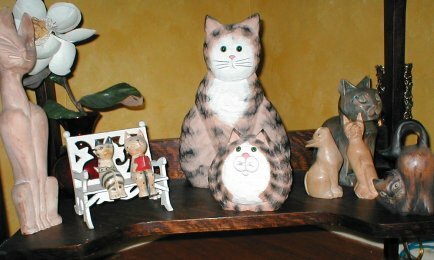 I grew up on a small hobby farm, the cats had a good life, cuddling in bed at night and catching mice during the day. 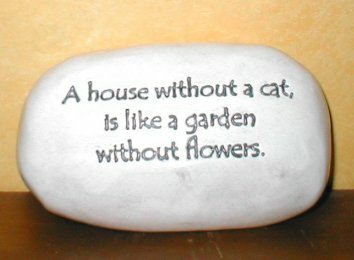 Although I am a firm believer now of keeping cats indoors where its safe! I am happy to report our outdoor kitties did lead very long healthy lives, well into their teens. 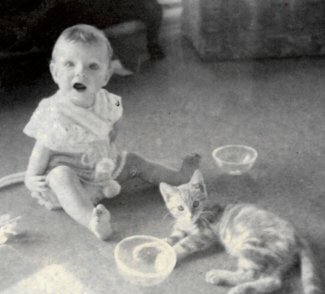 Photo of me as a baby with our kitty, Ginger. 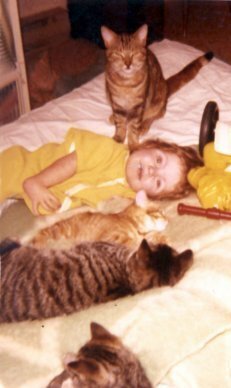 Me as a youngster lounging with the kitty gang. My parents always had our cats spayed or neutered as that's SO important. 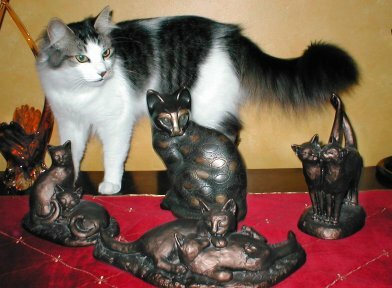 However there was a litter born when I was 3. 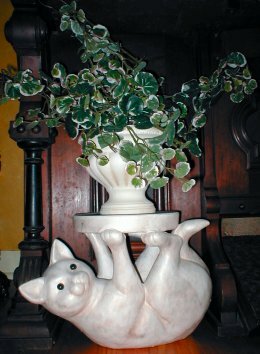 There were 2 kittens, Rusty & SAMMY, my special cat. 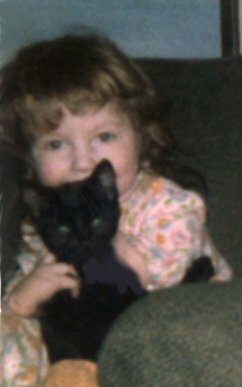 Photo of Sammy as a kitten and me age 3 in 1973. 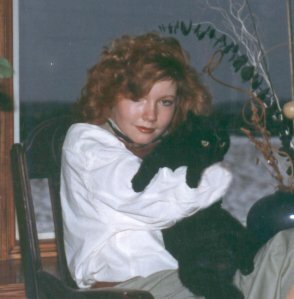 Then me as a teenager, 17 & Sammy age 14 in 1987. 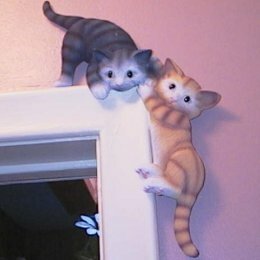 Rusty was a great cat too but Sammy was definitely MY girl. 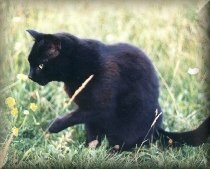 Sammy was such a wonderful companion. I'm an only child, so she was like a sister to me. 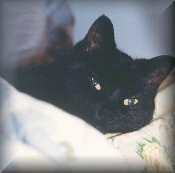 Sammy lived 18 great years, and will always have a special place in my heart. I'm thankful that Mark got to meet her, those of you who have pets, know what I mean by this. 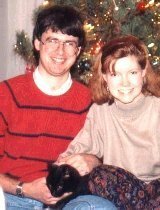 (Here's the 3 of us Christmas 1990). 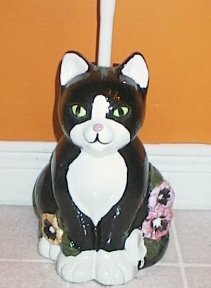 Sammy passed away spring of 91. 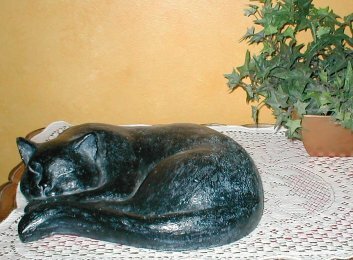 Mark never had a cat before, but saw how loving she was and the bond we shared. So it was easy to convince him we needed a cat when we got married. We picked Boomer out at the shelter 2 months after we were married in 1993. Boomer passed away from a blood clot in 2000. We were devastated! 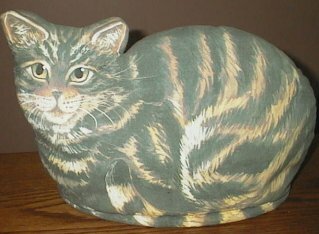 I love cats too much to be without them and Boomer made Mark a cat definite cat lover. Iris & Fern arrived in the spring 2001. 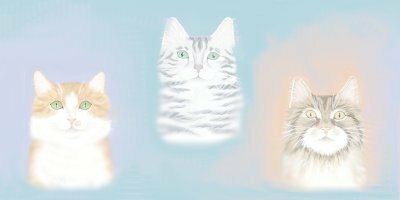 Dippy, Rusty & Ginger (the orange boys!) and all white Chrissy. 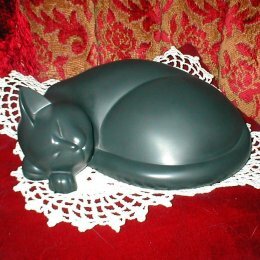 I love cat items! 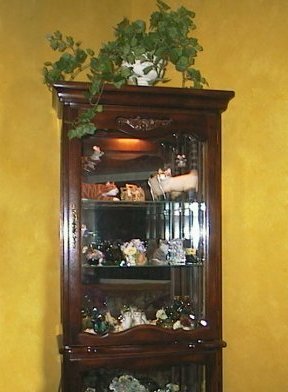 Whether they be wood, ceramic, metal, whatever material. I like my cat stuff to be interesting. 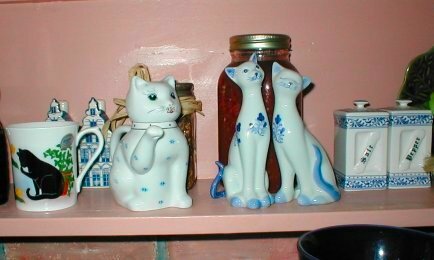 Our home is slowly being taken over with cat items!! 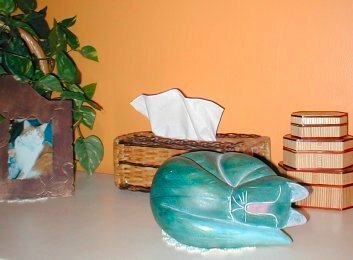 From mats with cats, to tea towels, even a cat tea cozy. I have it all! 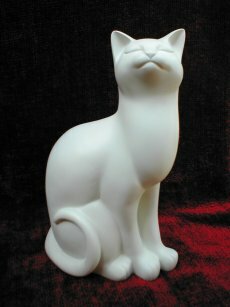 But I'm still always on the search for a unique cat items. Many things I've even picked up at yard sales. 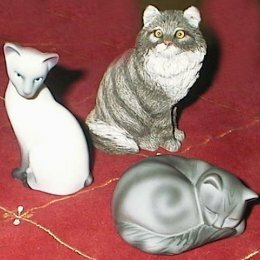 I like getting cat things on our vacations as reminders of our great time. My collection has expanded, so I now have TWO pages. This photo has my 2 favourite cat items. 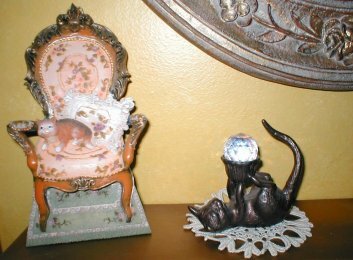 The cat with the mouse swinging from its tail and the the mouse on the look out on the orange cats tail. 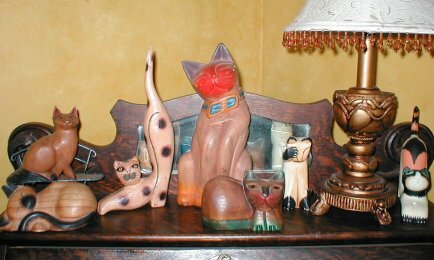 These unique cats can be found at Tyber Katz. 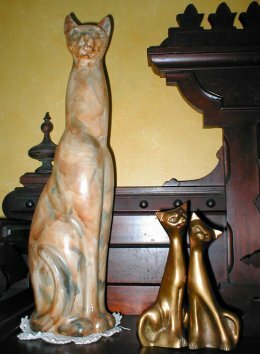 Tall kitty, bronze cat pair. 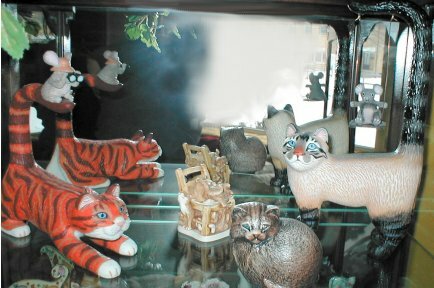 Curio cabinet full of cat statues. Upside down kitty server. 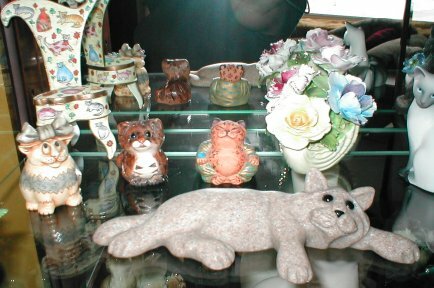 Cats from inside the curio cabinet. My favourite ones again and 2 others. Bronze and a brass statue. 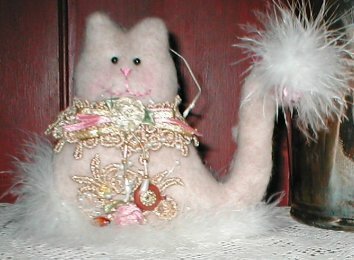 IRIS helping display them :) Fuzzy fancy kitty. 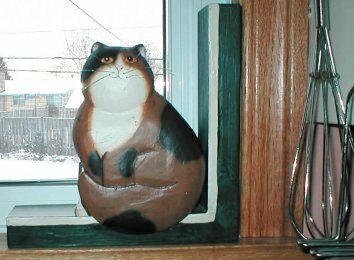 Green wooden cat. 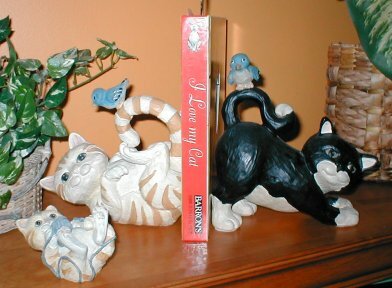 I love these cat bookends! 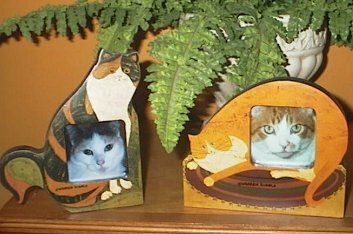 Cat photo frames, 1st photo is Calista, the girls mom. 2nd photo is Boomer. 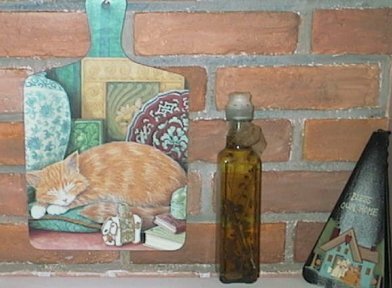 Cats in the kitchen, cutting board, cookie jar, salt & pepper shakers. 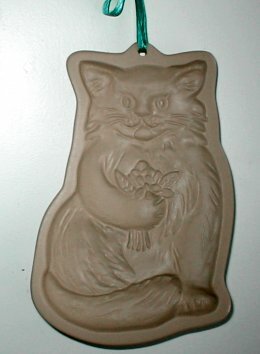 Cat cookie mold. 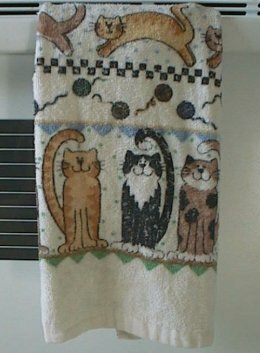 Cat dish towel. Mini tea pot, tea cup. 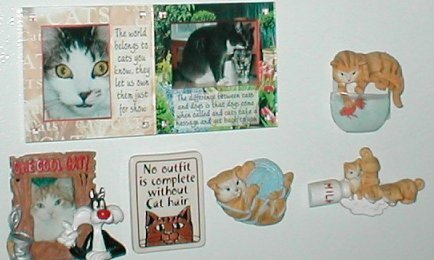 Fridge magnets. The one says "No outfit is complete without cat hair". My Cat tea cozy. 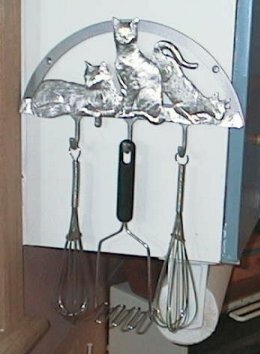 Silver cat holder thing. Kitchen window sitting cat. 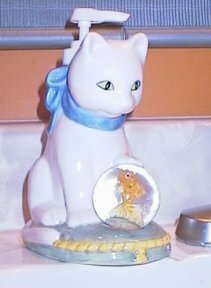 Bathroom kitties, toilet scrub brush & soap dispenser.